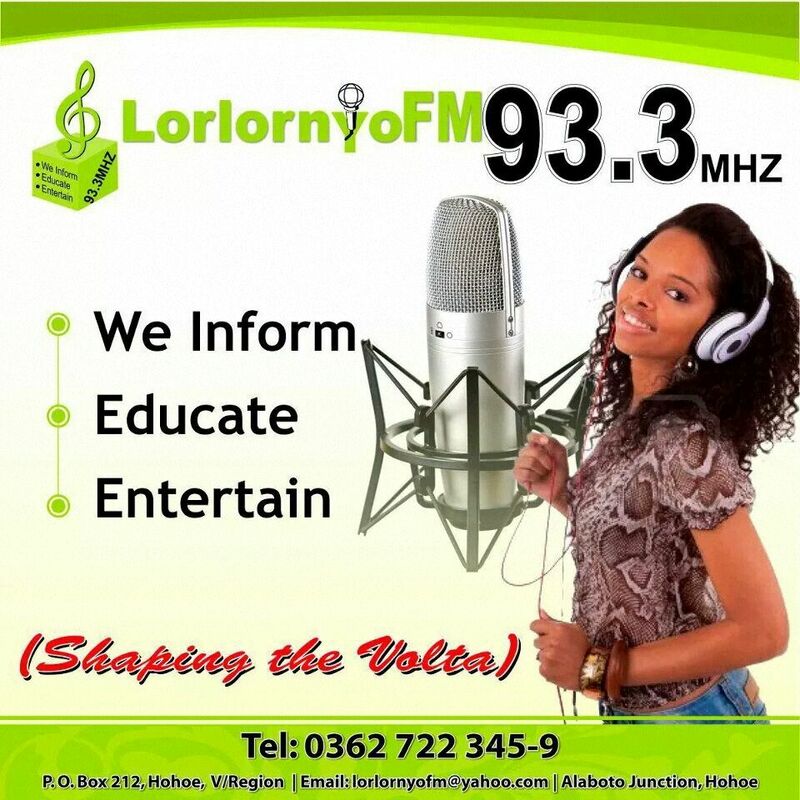 Lorlornyo FM is a privately owned radio station which was incorporated in September 2006 with registration number SBN – 1778 and VAT TIN 124V018452 as a subsidiary of ViDof Company Ltd. The company is being promoted as a wholly Ghanaian owned Company. It was registered under the Company’s Code 1963 (Act 179) with certificate to commence business effective from 1st October, 2006. Lorlornyo FM seeks to educate, entertain and inform the public with the most accurate and reliable information thereby having a well-informed populace as well as bringing the businesses of people to the door steps of all who need it. Our vision is to raise the standard in broadcasting in presenting fair, accurate and balanced information to allow informed judgment on the part of listeners. Our Motto is to Educate, Inform and Entertain with the slogan, ‘Shaping the Volta Land’. Inform society on socio-economic developmental issues in a bit to have an informed society for national discourse. Provide a platform for the marginalized and socially excluded in society to express their views on matters of national interest starting from their communities. Championing the course of the rural populace and be the voice of the voiceless. Serving as a watchdog for the society by keeping duty bearers on their toes. The station’s coverage covers the whole of the Hohoe municipal area and the surrounding districts and villages including parts of Krachi East, Nkwanta South, Kadjebi, Jasikan, Kpando (North Dayi District), South Dayi, Afadjato South and parts of Ho municipality as well as Kpalime and Badou in the Republic of Togo. The service area covers some 65 kilometres radius. The demographic profile of the service area portrays a youthful economically active population who are predominantly farmers.